Venus will reach its greatest separation from the Sun in its 2020 morning apparition. It will be shining brightly at mag -4.3. From Fairfield , this apparition will be reasonably placed and prominent, reaching a peak altitude of 40° above the horizon at sunrise on 4 Sep 2020. At each apparition, Venus reaches a maximum separation from the Sun of around 48°. 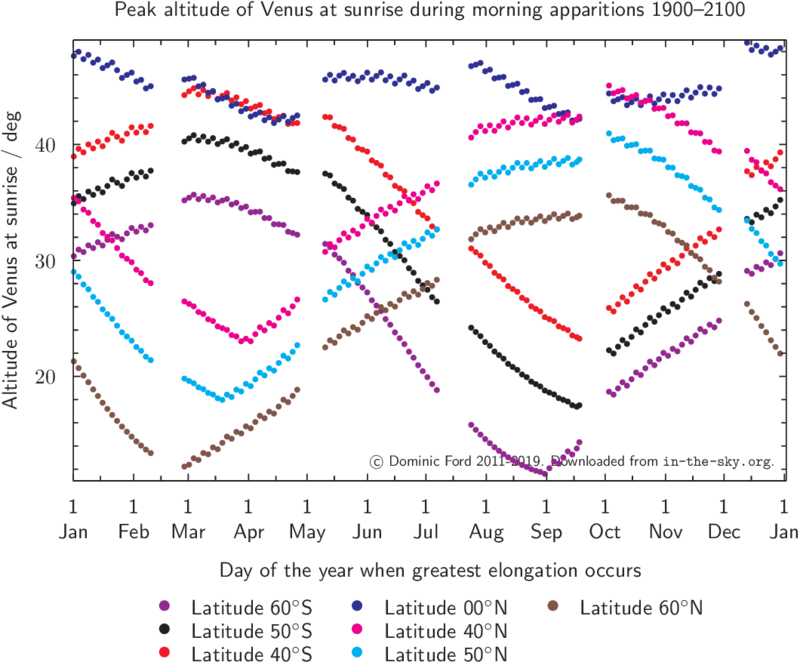 However, some times of the year are more favourable for viewing Venus than others. From Fairfield, it reaches a peak altitude of between 22° and 44° above the horizon at sunrise during each morning apparition, depending on the time of year. During its 2020 apparition, it will peak at 40° above the horizon at sunrise on 4 Sep 2020. 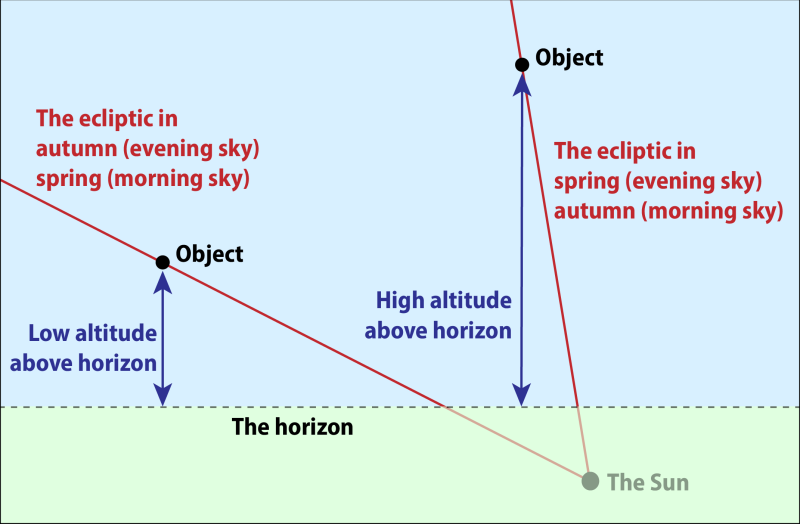 The inclination of the ecliptic plane to the horizon at Fairfield varies between 72° (sunrise at the autumn equinox) and 25° (sunrise at the spring equinox). On August 13, the ecliptic is inclined at 65° to the eastern dawn horizon, as shown by the yellow line in the planetarium above, meaning that this apparition of Venus will be reasonably placed and prominent, reaching a peak altitude of 40° above the horizon at sunrise. Venus 06h22m20s +20°03' Gemini -4.3 23.4"
Sun 09h33m +14°30' Leo -26.7 31'34"